We are an end-to-end service, which means we will manage your project from initial design to finished product. As our customer, you are front and centre from the beginning of the design process. We will listen to your needs then plan, design and install your new kitchen, bathroom, wardrobe or other custom built cabinetry in your home. Customer satisfaction is our number one goal. Our directors will work onsite and in our Peakhurst factory to oversee every stage of your project and ensure the very best outcome for you. Our team are highly qualified tradespeople with a commitment to craftsmanship, exceptional attention to detail and the customer focus to bring your dream to life exactly as you imagine it. We price competitively in line with market rates and welcome the opportunity to provide you with a quote for your upcoming custom joinery project. 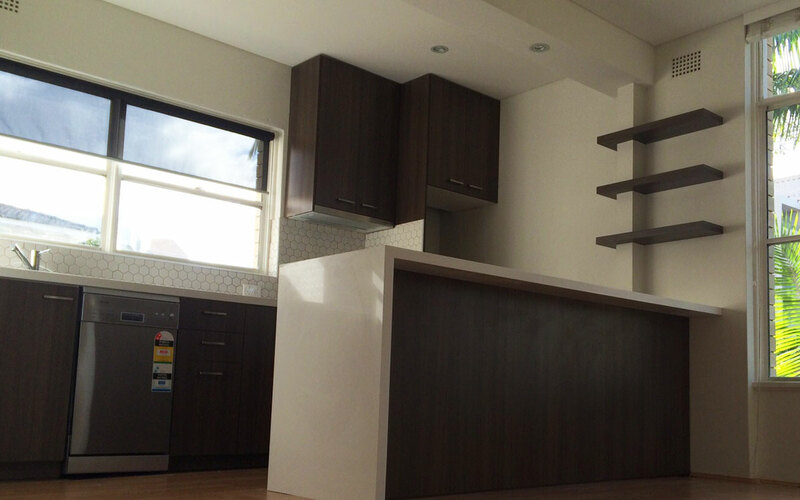 Call us on 1300 887 375 to speak with a joinery expert. We have access to the latest range of materials, hardware and finishes, in line with local and international trends. Our team of designers are here to help you bring your ideas to life using the finest quality hardware fittings and materials, together with top of the line machinery. We work with industry leading suppliers to deliver the best quality finished product to you.